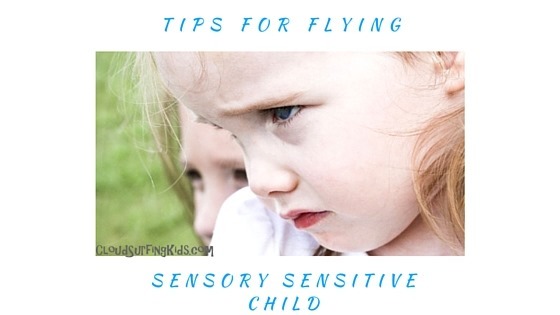 Start by helping your child know what to expect when flying. Check out books at the library on airports and flying; watch you tube videos of airports and airplanes; play “airplane” by setting up a few chairs and taking a “practice” flight, including going through TSA security checkpoints. Talk about the noise of the agents over the P.A. system, waiting in line, the noise of the airplane engines, the roller coaster feeling of takeoff and landing. Talk about turbulence and how it is like a boat on the waves. Don’t let these ideas overwhelm your child. Talk about them in a matter-of-fact way and back off if they start to get worried—return to talk about it another day. Whether your child craves sensory input or shies from it, incorporating a variety on sensory activities will your child remain calm. Here is a post I wrote on ways to incorporate proprioceptive activities throughout the travel day. 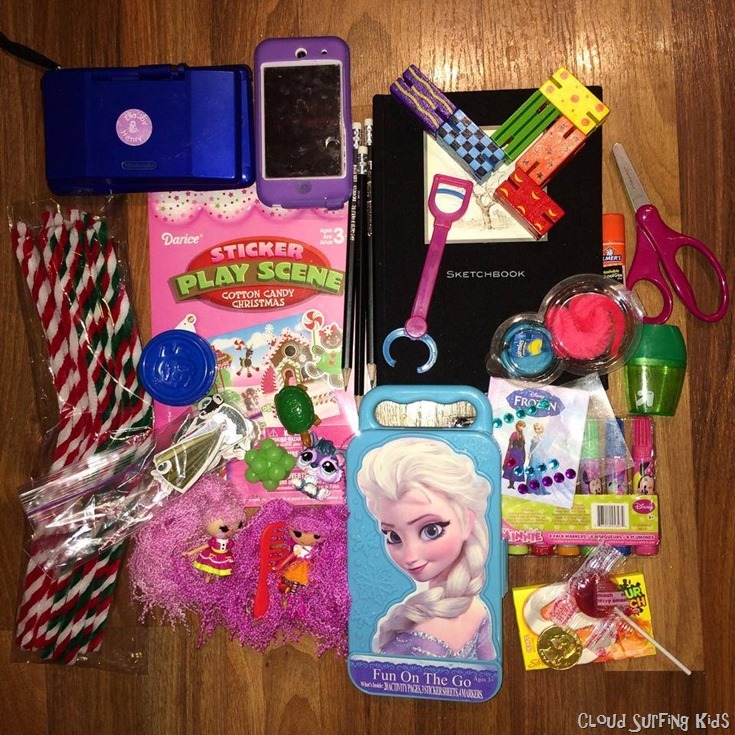 I couldn’t believe it when a friend told me she packed just two items per child for inflight entertainment for their 8 hour flight! That is awesome if your child is content with that, but most children need more. 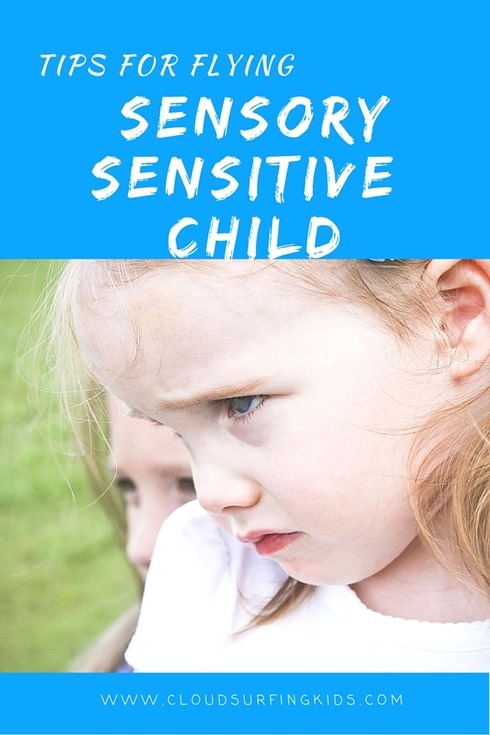 I find that a sensitive child does well with lots of different sensory input. 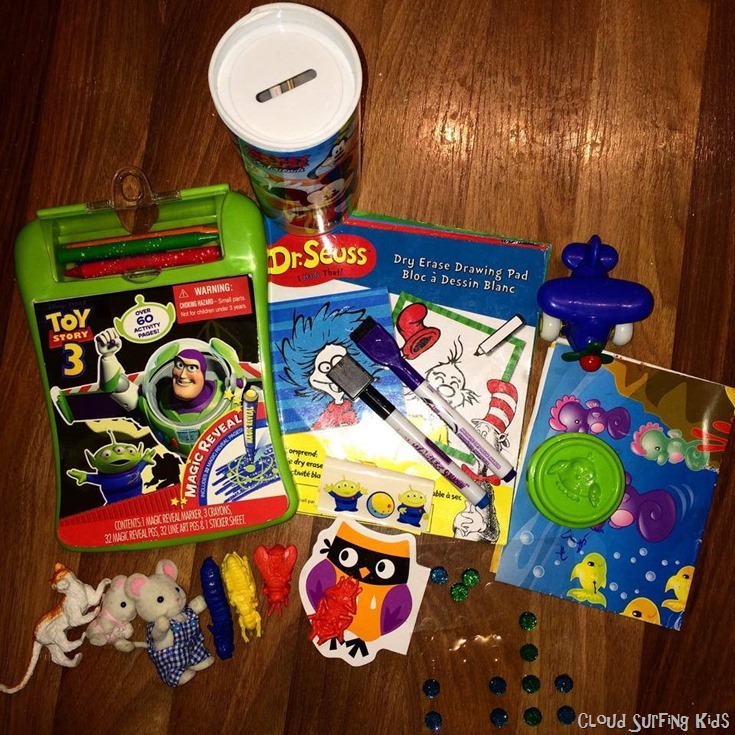 I try to pack a variety of sensory activities for travel. There are several things you can do to provide an area of retreat for your sensory sensitive child. 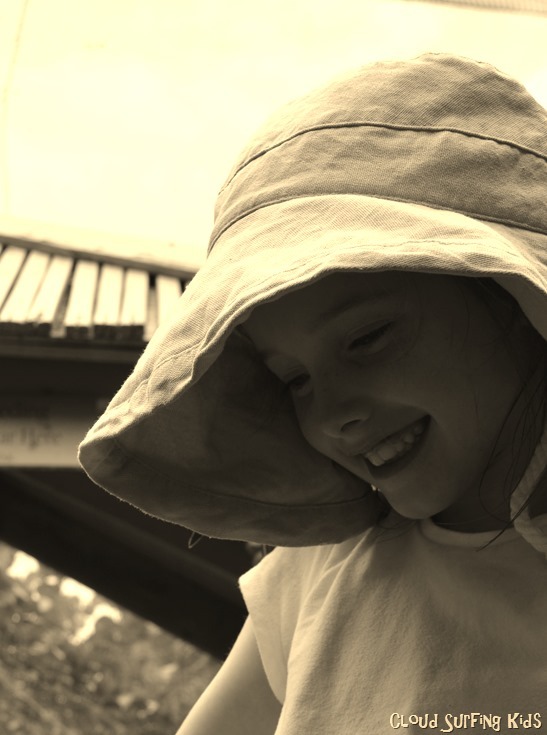 A floppy hat, music with over-the-ear-headphones, noise-reducing ear muffs, a blanket tent, or a stroller canopy are just a few of the things you can provide to create an area of retreat for when your child feels overwhelmed. Family Travel Blog Walking on Travels shows a great way to create a Sleeping Tent on the airplane which could also provide a great place for a sensory break. You can find that post here. These are just a few ideas for ways to help your sensory sensitive child enjoy their travel day. What other things help you and your child when you’re away from home? Do you have any tricks for averting a meltdown in public? I’d love to hear what works for you. Comment below or on our social media pages. Thanks for reading this post!